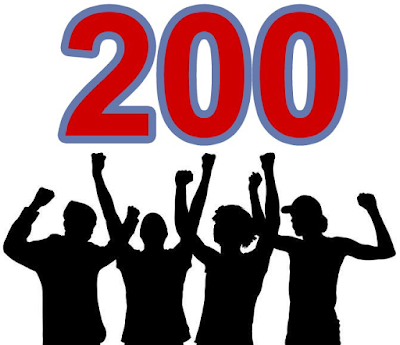 We are proud to announce that our friendly scraper has crossed over 200+ customers worldwide now. We would like to thank our very talented fScraper development team who have worked extremely hard to answer the cutomer request and made this relationship possible. Our Unelma legal team is busy in setting up legal matters related to the office here at Chitwan, Nepal. We are also planning to create a new office location in Estonia soon. You can easily drag and drop elements from the elements panel into the builder. Note that you might be able to drop them anywhere as one desires because HaveWebsite follows the official HTML5 specification. Some of our legal advisers and researchers are working hard to get us our permanent account number also called as PAN number. 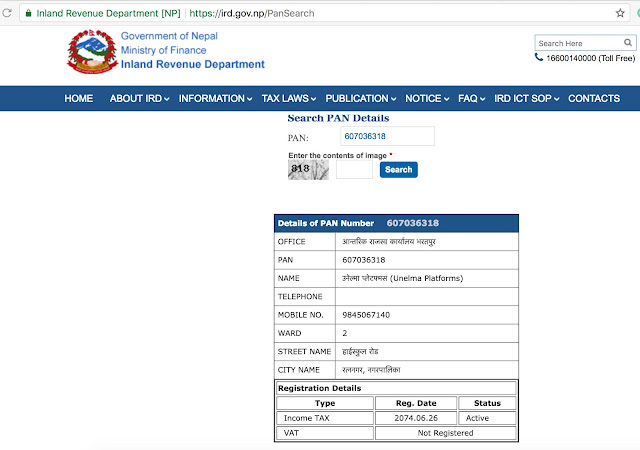 PAN is a code that acts an identification for those who pay Income Tax. The PAN is mandatory for a majority of financial transactions such as opening a bank account, receiving taxable salary or professional fees, sale or purchase of assets above specified limits etc. ; especially high-value transactions. The primary purpose of the PAN is to bring a universal identification to all financial transactions and to prevent tax evasion by keeping track of monetary transactions, especially those of high-net-worth individuals who can impact the economy. The PAN is unique to each individual and is valid for the lifetime of the holder, throughout the country. An important point to note would be that once issued, the PAN is not affected by a change of address. For those who don't yet know we have been incorporated into the private limited company. In Nepal, the private limited company are designated with Pvt. Ltd.
By simple definition, a private limited company is that type of company that offers limited liability or legal protection for its shareholders but that places certain restrictions on its ownership. These restrictions are defined in the company's bylaws or regulations and are meant to prevent any hostile takeover attempt. shareholders cannot sell or transfer their shares without offering them first to other shareholders for purchase,shareholders cannot offer their shares to the general public over a stock exchange, andthe number of shareholders cannot exceed a fixed figure (commonly 50).If you want to verify our existence, you can easily check through Nepalese government website of company registrar. UnelmaHost is a cloud web hosting platform that allows users to host their website, application, business or enterprise sites and or WordPress sites free of cost with fully loaded cPanel hosting which is now made accessible and affordable. UnelmaHost is a most powerful and easy to use websites hosting platform where the mission is to provide affordable domain name registration and high-performance cloud-based web hosting not just in Nepal but around the globe. UnelmaHost aims to be a leader in high-speed cloud Web Hosting, Reseller Hosting, and VPS Hosting. UnelmaHost provides high-speed cloud hosting services. UnelmaHost also wants to offer many other types of hosting (e.g. apps hosting, domains and related services). Marie Curie had a great saying about the way of progress she stated that "I was taught that the way of progress was neither swift nor easy." This reminds us each and every day how we have to be on top of our game. Here are some of the inspiring quotes from one of the most respected and reputed scientists of our time.